Die Cutting | Tom Brown Inc.
TBI has three die cutting technologies to offer our customers. 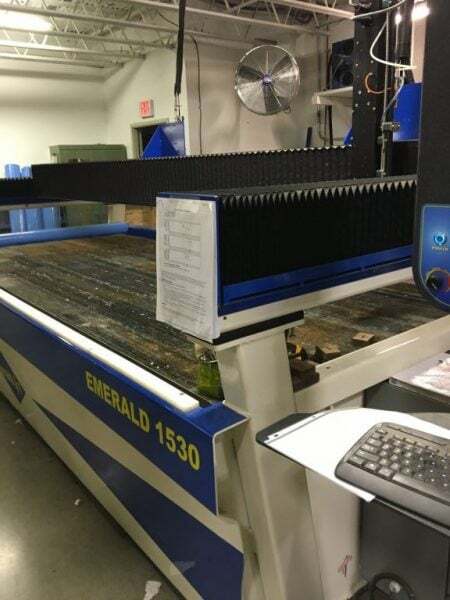 Each die cutting platform has unique capabilities and TBI has the machinery as well as the skilled operators to help you get the results you seek. Flat bed die cutting relies primarily on the use of inexpensive steel rule dies for small to medium batch sizes. This die cutting technique can deliver cut through parts or kiss cut parts on a release liner. This is one of the moist flexible die cutting methods and delivers excellent customer value. Rotary die cutting is well suited for high volume runs with tight tolerances. A Waterjet is a CNC based machine that fabricates cut through parts using a stream of 60,000 psi water to cut through polymeric materials quickly without limitations on material thicknesses. Waterjet processing is sometimes called digital die cutting as it refers to the ability of the machine to translate CAD drawings into CNC language. This capability make a Waterjet the ideal machine to produce prototypes for qualification studies and can run low to medium batch sizes for production runs.